Ronald McDonald House Charities-Upper Midwest, in partnership with the community, provides a comfortable and caring home-away-from-home that supports keeping families together and reduces stress during a child’s serious illness. Its four Twin Cities sites provide complimentary lodging, meals, and a community of support to families facing a child's serious illness, injury, or disability. 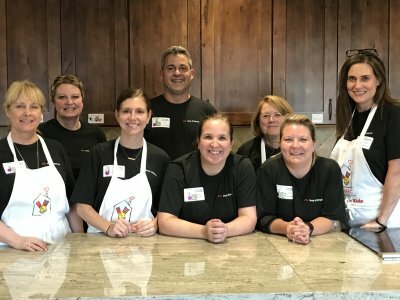 Moss & Barnett employees and family members were honored to volunteer with the Cooks for Kids program to purchase, prepare, and serve a meal to the families at the Ronald McDonald House – Children’s Hospitals & Clinics of Minnesota, Minneapolis.